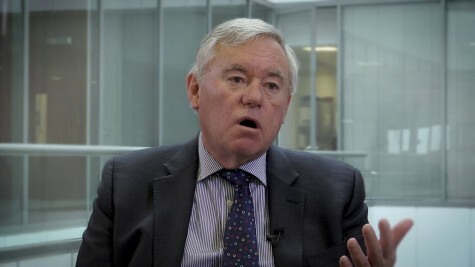 Prior to joining Gresham House in 2015, Graham held positions in PayPoint Plc as a senior executive, director of strategic planning and corporate development and was executive chairman and president of PayByPhone, a multi-national division of PayPoint operating out of Canada, the UK and France between 2010-2014. Preceding Paypoint, Graham was a fund manager and head of Strategic investment at SVG Investment Managers (SVGIM) where he helped to establish and then co-manage the Strategic Recovery Fund II and Strategic Equity Capital Investment Trust. Stephen qualified as a Chartered Accountant in 1981.He was appointed as the MD of Bleckmann (UK) Frans Maas, a listed Dutch logistics and freight forwarding company, in 1984. He set up Delamode in the UK in 1988. Stephen also has experience across a broad range of business activities including menswear shops, safe servicing company, garment production and commercial property development. In 2003, Neil became CEO and founding partner of Inspiration Healthcare Limited, leading them through the reverse acquisition of Inditherm plc and onto AIM in June 2015. Neil has spent 28 years in the Medical Device sector, mainly in Sales and Marketing roles. Neil is an industry and scientific committee member at the Infant Centre in Ireland, a position he has now held for several years. Neil held a Non-executive Director position of Neuroprotexeon Limited, a drug-discovery and biotechnology company, in which the Group is a shareholder. Giulio has over thirty years of experience in the life sciences sector and a track record of growing business operations in Europe, the US and Asia. Prior to IXICO, Giulio held global leadership roles at Thermo Fisher Scientific, Inc. and LGC Ltd, where he transformed the scale of LGC’s Genomics division, completing 3 acquisitions in under eighteen months. Giulio was a member of the executive leadership team responsible for the successful sale of LGC Ltd to global investment firm, KKR & Co. Inc. He joined IXICO as CEO in February 2017. Simon is a highly experienced and passionate tech-focused entrepreneur with a history of successfully building and developing companies in both the private and public arenas. As CEO, Simon has led CloudCall to continued year on year turnover growth, with run-rate revenue now reaching £10m p.a. Employing more than 150 people in four countries, CloudCall is now a business recognised as one of the fastest growing tech companies in the UK. Daniel Coatsworth is the editor at Shares and has written for the publication since 2005. He previously wrote for Teletext about the UK stock market and money matters, and his work has also appeared in many of the UK's leading newspapers, news websites and personal finance magazines. He is an expert on equities and funds and is also one of the leading commentators in the field of financial education for the retail investment market. Steven Cooklin founded Manolete Partners in 2009 and is Chief Executive. Steven is a Chartered Accountant having qualified at Coopers and Lybrand in 1991. Steven has over 20 years’ experience in corporate finance with National Westminster Bank, Calder Corporate Advisory Ltd and Hill Samuel Investment Bank and is a former director of HSBC Investment Bank (Corporate Finance Division). Steven is an Associate Member of The Association of Business Recovery Professionals. Steven Frazer is Shares' online editor and technology writer, covering all the big tech themes from big data to mobile, microprocessors to new energy, with an investment slant. He's been writing about technology, business, investment and markets for 15 years and his off-diary stories, deeper think features and daily Tweets often move share prices. Find him at the Shares magazine website (www.sharesmagazine.co.uk) or tweeting at @SharesMagSteve. Chris is the founder of Creo Medical with over 20 years’ experience in medical device development, including four years at Gyrus Group plc in his role as Senior Engineer. Chris holds a personal Chair in the Medical Microwave Systems Research Group at Bangor University. Chris is a Fellow of the Institute of Physics, a Chartered Physicist, Fellow of the Institute of Engineering and Technology, a Chartered Engineer and a Senior Member of the IEEE. Chris is a named inventor and lead author on over 500 granted patents, patent applications and international journal publications. James has been involved in financial markets for 25 years, initially joining Investment Management firm Williams de Broe and moving on as Investment Director at Brewin Dolphin Securities. Within the past 10 years, he served as Managing Director of fintech FX business, Caxton, where he developed and ran several successful prepaid currency card programmes, as well as a leading online money transfer platform. James joined FairFX at the end of 2016 as Chief Commercial Officer where most recently he was involved in a fundraise and subsequent acquisition of CardOneBanking and City Forex. Martin is a seasoned TMT entrepreneur who has established and listed multiple businesses. This includes Monstermob Group Plc, which listed on AIM in 2003 and, over a three year period, grew to become a Top 50 AIM listed business with a market capitalisation of £192m. This was sold to Zed Worldwide in 2006. Martin has subsequently founded a range of businesses including Cityblock plc, NetPlayTV plc, an interactive TV gaming business which boasted exclusive partnerships with Virgin Media, Channel Five, and ITV; and Digitalbox, a digital media business. Stuart qualified as a chartered accountant with Deloitte in 1999. He joined Xpediator as Chief Finance Officer in September 2018 with a vast range of experience within the financial services and private equity sectors. Stuart was previously Chief Executive of Dollar UK, the alternative financial services provider, with prior experience as Chief Operating Officer of Listed Products at Harbourvest Partners and 3i where he was variously Chief Operating Officer of Asia and Americas, Chief Financial Officer of Infrastructure and Finance and Operations Director of Quoted Private Equity. Neil Johnson is Duke Royalty’s founder and CEO. Mr. Johnson has 25 years of experience in investment banking and fund management in the Canadian and UK capital markets. During his 19 years at Canaccord Genuity, he was Head of Corporate Finance for 7 years in London and raised over £3 billion for Canadian dual-listed companies, and Canaccord became AIM’s #1 Broker. Philip’s early career was in the space industry which included a key project management role in the Prime Contractor team for Envisat, a major European satellite programme. Philip joined Trackwise in 1999 and acquired the Company in 2000. Under his stewardship the Company has enjoyed sustained growth based largely through export success and innovation. Philip is named inventor on a number of UK and international patents. Philip holds degrees in both Aeronautical Engineering and Law and is a Chartered Engineer. As CEO of Diaceutics, Peter Keeling’s role with the company complements over thirty years’ experience in international healthcare which began at GSK and Diagnology. He has operated and led companies and teams in the US, Europe, Asia and BRIC countries, inspiring product innovation and global launches while repeatedly delivering high corporate value growth for shareholders. Widely published in peer reviewed economic and precision medicine journals; Peter is a seasoned speaker and is considered one of the world’s thought leaders in the diagnostic commercialization industry. Philip has a general management career spanning more than 40 years, the last 30 years at board level. Positions include Divisional Managing Director, MS International plc; Senior Vice President Metals Division, Firth Rixson Ltd; Executive Vice President, Rolls-Royce plc and CEO, Materials Advantage Group. Prior to this he held senior operational roles at the British Steel Corporation and Sheffield Forgemasters. He is a Chartered Engineer and holds a BSc in Chemical Engineering and an MSc in Advanced Manufacturing Management. Julian is Head of the Growth Companies Team. He is one of the founding members of the Cenkos Growth Companies team. He has over 22 years’ experience in the City and he has been involved in 100s of successful fundraisings and IPOs. Previously Julian was a Director at Beeson Gregory and Evolution Securities. Richard joined CRUX Asset Management in June 2018 from Legal & General Investment Management. Richard is Fund Manager of the FP CRUX UK Special Situations Fund since it launched in October 2018. Richard had worked at LGIM for 15 years where he had managed the award-winning L&G UK Alpha Trust and L&G UK Special Situations Trust as well as several segregated mandates. Richard has a master’s degree in Engineering and Economics from Oxford University. Faisal is a founder shareholder of Synnovia and Director of the Company. He has worked for and with manufacturing companies for over 20 of the last 30 years. He spent 7 years working in private equity with Capricorn Ventures International and prior to that was a partner at Deloitte & Touche, and was a managing director of a specialist consulting subsidiary of Deloitte & Touche. He is a graduate of Oxford University and has an MBA from Harvard Business School. Faisal was also chairman of Broker Network Holdings plc, an AIM listed company. Rob Shaw is the Chief Executive of Jaywing. The company is a data science-led agency and consulting business, with a marketing technology division and growing international footprint. With over 30 year’s experience in the technology sector – particularly in the fields of digital and search marketing – Rob has managed services for some of the UK's largest brands including Tesco, O2 and Pets at Home. Employing over 450 people more than 70 of whom are experienced data scientists, Jaywing has offices in Sheffield, Leeds, London, Newbury and Sydney. Nick Sleep is Chief Technology Officer of Intelligent Ultrasound. Before joining the Group, Nick ran his own consultancy specialising in providing management support to early stage companies, one of his clients being MedaPhor Limited. Nick is a software engineer by background, but has also run companies in areas as diverse as stem cell therapeutics and biofuels. Previous companies include The Technology Partnership, The Automation Partnership, Procognia and Magnecell. Roland is Head of Sales at AJ Bell Media and has responsibility for sponsorship and advertising across their portfolio of investor engagement events, awards, websites and Shares magazine having joined the publication in 2008. Roland started his career in financial media in 2000 and has experience in the hedge fund, institutional investment and pensions and retirement sectors. Denis Taschuk has 30+ years of experience in corporate strategy development, manufacturing, market development and finance. Prior to Radient, Mr. Taschuk was a Partner and CEO of JAG Flocomponents LP, where he oversaw the expansion of the Company into international markets. Mr. Taschuk is also a Director of Tyhee Gold Corp. (TDC: TSX.V) and was previously a Director of the International Diabetes Federation. He is a Chartered Accountant and holds a Bachelor of Commerce Degree from the University of Alberta. Mr Tsvetkov has over 23 years of financial, accounting and operational experience, including significant experience of working with promoter/founder-led energy sector listed companies in London, Africa, Asia and Canada. Mr Tsvetkov was Chief Financial Officer of OPG Power Generation Pvt Ltd, the Chennai subsidiary of OPG from July 2017 to October 2017. Prior to that he was Chief Financial Officer of Advance International Exploration, Inc., Interim Chief Executive Officer and Chief Financial Officer of Mart Resources, Inc., a TSX listed oil and gas company, and Chief Financial Controller of Heritage Oil Plc, a FTSE 250 oil and gas company. Mr Tsvetkov was with PricewaterhouseCoopers in Calgary, Canada and Moscow, Russia from 1994 to 2006. Founder and CEO of Mirada PLC, broadly recognised professional with almost 20 years of experience in the Telecom industry and chairman of Spanish Association of Interactive Technology Companies (AEDETI). He holds a degree in Advanced Telecommunications Engineering and an MBA from IESE Business School. Tim joined Shield Therapeutics as Interim Chief Financial Officer in August 2018 and has over 25 years’ experience in the pharmaceutical and biotech sectors. A qualified chartered accountant, Tim was at AstraZeneca for 22 years, and was Group Financial Controller of AstraZeneca from 2002 to 2006. Between 2007 and 2011 Tim was CFO of Archimedes Pharma and CFO of Oxford Biomedica plc from 2012 until September 2017. Tim is also a non-executive director of Fusion Antibodies plc. Gervais Williams joined Miton Group plc in 2011. He manages a number of funds and trusts that aggregate to a little under £2.0bn. His fund management career extends over 30 years including 17 years at Gartmore. Gervais is a member of the AIM Advisory Council, chairman of the Quoted Companies Alliance and a board member of The Investment Association. He has written three books 'Slow Finance'; 'The Future is Small'; and his most recent book 'The Retreat of Globalisation.